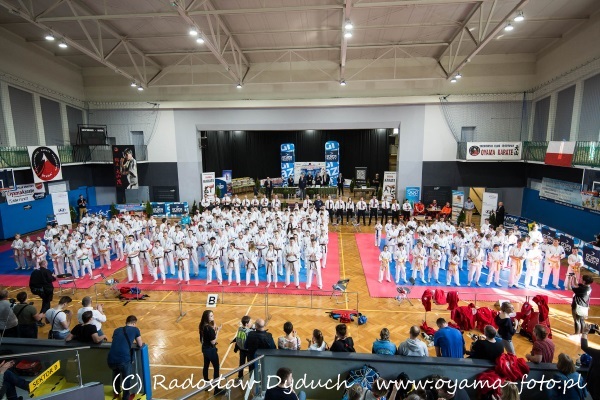 On March 30 this year in the Sports and Performance Hall of the Youth Palace in Tarnów, the Open Championships of the Southern Oyama PKF was organized in Kumite (sports fights), in which 211 competitors from 17 clubs took part (Szydłowiec, Katowice Goliat, Tychy Goliath, Katowice WR1, Lubliniec, Kraków KOYAMA, Wieliczka, Sosnowiec, Olkusz, Andrychów, Łódź, Brzeszcze, Oświęcim, Kraków KAS, Bochnia, Kraków OYAMA and Tarnów). 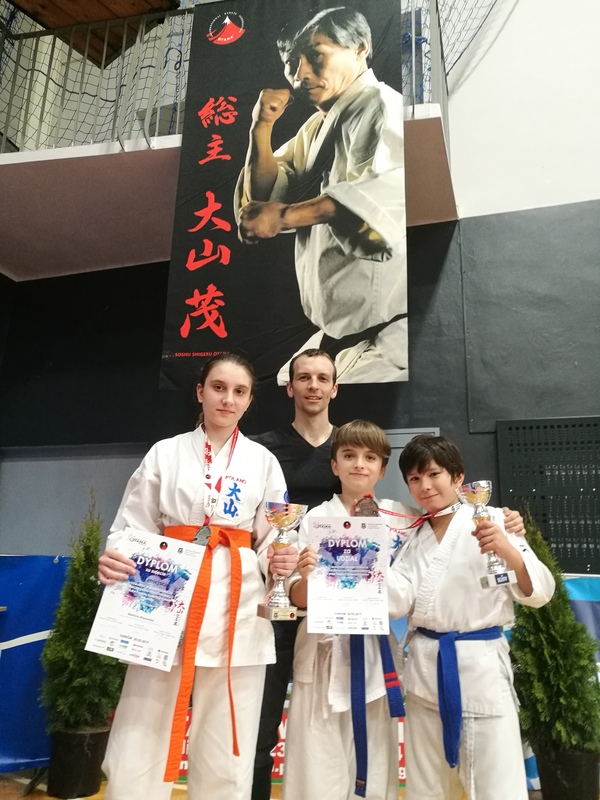 Complex of Private Schools in Katowice, under the leadership of Piotr Muszyński, was represented by Franciszek Rojek (Checkpoint 1) and Luca Sakamoto (Stage 6). 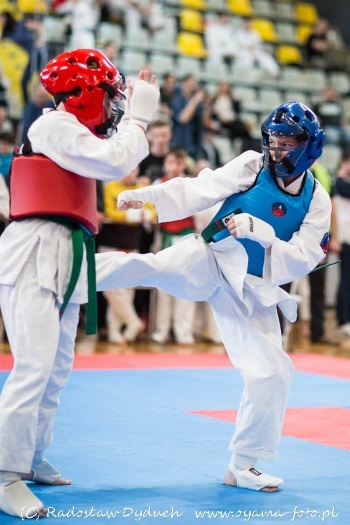 After very balanced duels, Luca Sakamoto won the 3rd place.